In this scenario you wish to execute a workflow only if it is a working day. This can be combined with the Scheduler functionality to automate routine operations but only if the current day is a working day. 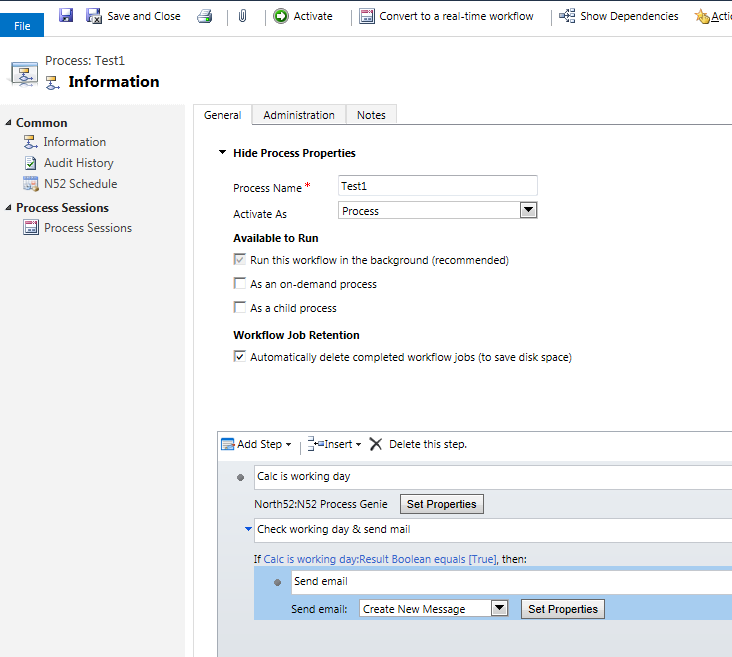 Note that the 'working day' functions in North52 Business Process Activities use the Business Closures calender within Settings > Business Management. 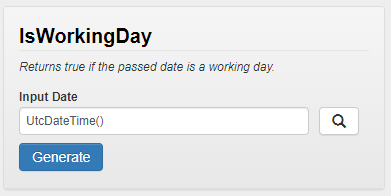 Please see below the wizard you can use to create the IsWorkingDay() function call used in this formula.